Bursting With Nutrients, Feel the Rush! The Acai Blush™ formula just may be the closest thing to a modern day medicinal miracle that you'll ever discover. Why? Because this doctor developed formula is the result of extensive research into specifically what key nutrients could trigger maximum health enhancing benefits, while offering protection within the human body. It combines the spectacular Acai berry (pronounced ah-sigh-ee) from the South American rainforests with Vitamin D-3, the vitamin that new scientific research reveals is absolutely essential for optimum health and longevity. But this potent superfood formula doesn't end there. It also includes seven more superb health enhancing natural treasures! With this terrific combination, the Acai Blush™ formula offers new evidence for helping people with those mysterious nagging health problems that constantly compromise the quality of their lives. Are you one of them? Please read on, there is hope. That's Right: The amazing Amazon acai berry is so effective for anti-aging, Dr. Nicholas Perricone, M.D. recommends it as the #1 superfood in the world for fighting the effects of aging! Acai has a number of benefits, including antioxidants, fiber, fatty acids, and proteins. The antioxidants from Acai are ten to thirty times that of red wine and more than twice that of blueberries. It's known to have the best nutritional value of any fruit on the planet, earning it the title of "super berry." The Amazon "super berry" has gained recognition in the media, including television and magazines. There are several companies and websites that offer Acai products. Some products contain Acai exclusively, while others use it in combination with other ingredients. Acai shows up in fruit drinks and in powder form as health and energy products. With all the popularity in recent years, the benefits of the Acai berry is widely unknown. People of the Amazon have long experienced the benefits of Acai to fight disease, strengthen the immune system, fight infection, protect the heart, and provide overall health and healing. Health-minded individuals can now enjoy the benefits of this "super berry" through taking Acai Blush™. Acai is a complete food source and contains an abundance of nutrients necessary for restoring and maintaining optimum health. Acai contains amino acids and vital trace elements important for muscle contraction and regeneration. Acai's nutrients, including a large amount of natural lipids, provide needed energy to tackle competitive sports and daily chores. Acai contains more protein than the average egg. Proteins are the primary component of hormones and body tissues, including muscles and organs. The Acai berry can help to regulate your stress levels and repair your body. Acai's anti-inflammatory and antioxidant properties can counter infertility due to stress, pollution and factors related to free radicals. Acai's immune-system-strengthening qualities help protect the entire body. Acai has been used for centuries to cleanse the body from contaminants. The regenerative nutrients and strong antioxidants in Acai help keep our cells operating efficiently and may slow aging. By boosting the immune system, Acai's rich nutrient profile helps boost the body's natural defenses. Recent findings published in the International Journal of Sports Medicine indicate that Acai's beta-sitosterol prevents immune suppression and modulates the lymphocyte activity. Free radical damage is one of the primary causes of immune weakness or dysfunction. Acai can reduce the frequency of infectious diseases. Acai's antioxidant properties help prevent damage to DNA, which lowers the risks posed by carcinogens and mutagens. Acai possesses high concentrations of polyphenols, making it an excellent source of antioxidants. Some polyphenols abundant in Acai are anthocyanins, some of the more potent forms of antioxidants. Other polyphenols in Acai, antho-cyanin and cyanidin-3-glucoside, may improve the production of nitric oxide in endothelial cells. Nitric oxide allows blood vessel walls to relax and expand, resulting in less stress on the heart, decreased risk of vessel blockage, and increased blood flow. The antioxidant punch of Acai may also be a powerful weapon in the fight against benign prostatic hyperplasia, commonly known as an enlarged prostate. Acai is rich in essential fatty acids, which may help reduce harmful LDL cholesterol while supporting levels of the beneficial HDL cholesterol. 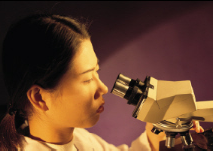 In diabetes weak capillaries can lead to a condition called retinopathy, which often leads to blindness. The anthocyanins in Acai protect small and large blood vessels, including veins, arteries and capillaries. 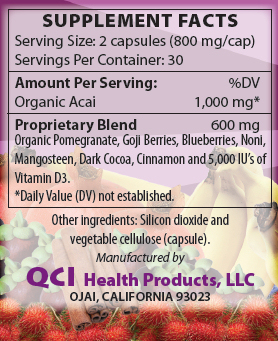 Acai's low glycemic index improves glucose and lipid levels in diabetics. Acai's low glycemic index also helps control appetite and delay hunger, which can help individuals trying to lose weight. Acai provides dietary fiber, excellent for digestive tract health, high levels of calcium, vitamins A and E, and phosphorus. Acai has a significant amount of calcium, which help strengthen bones, prevent fractures, and can help prevent osteoporosis. Women who experience extreme menstrual pain can also benefit from Acai. Calcium-rich foods help coat the lining of the stomach and uterus, and help reduce the pain from cramps and bloating. Acai's dietary fiber helps promote the health of the digestive tract, including the colon. The broad array of antioxidants in Acai may help protect and repair the lower esophagus damaged by acid-reflux disease. Acai's acid-suppression effects reduce the acidity of stomach contents when reflux does occur. The antibacterial properties of Acai kill bad bacteria, fungi and parasites, including ulcer-causing bacteria. Acai's anti-inflammatory abilities may prevent the malabsorption of vital nutrients by preventing damage to the wall of the small intestine. Acai's phytosterols help reduce the erosion of the skin's protective coating. Because it's so high in anthocyanins and phytosterols, Acai helps protect connective tissues, including collagen. Acai acts as an astringent which contract, shrink or tighten body tissues, including skin. Astringents can be used to stop bleeding in small cuts or to give the skin a fresh, tingling feeling. Modern science is discovering the life-enhancing benefits of the Amazon "super berry". Research indicates that Acai can help neutralize free radicals, prevent heart disease, thwart cancer, and much more. The Acai berry…. Hailed as "the #1 superfood" and added to "the anti-aging hall of fame" by doctors on the Oprah show! The Acai berry comes from a 60-80 foot palm tree that grows deep in the rainforests of South America. (The berries are harvested from the tree while NOT harming it). Recently medical researchers and nutritional scientists discovered that this mighty purple berry has a treasure chest of health-enhancing benefits! Initially they found that the Acai berry contains mega amounts of antioxidants. Antioxidants are the cell guarding compounds that protect your trillion plus cells from premature aging and destruction from the free radicals that constantly roam throughout your body. The antioxidants found in the Acai berry were proven to have 30 times more antioxidant protecting power than red grapes. Acai berries contain one of the highest antioxidant concentrations ever discovered! Researchers also found that these "body-guard" antioxidants were in one of the most highly absorbable forms known to nutritional science! Beyond spectacular antioxidant coverage, Acai is also bursting with other health-enhancing nutrients, including cardiovascular-nourishing Omega Fatty Acids, B vitamins for stress, and vital minerals and amino acids for heart, brain, skin, and other vital body organs. Beyond a doubt, the Acai berry is a true super-star that not only fabulously nourishes the body, but protects and helps fight the ravages of aging! "….OK just what has the Acai berry shown to help with?" Emerging scientific evidence reveals that this essential vitamin plays a much more important role in human health than was previously thought. Vitamin D-3 is like no other vitamin. It's the only one that your body can make! It's made by sun exposure to your skin (that's why it's called the sunshine vitamin), or through certain foods you eat, or from supplements. Some of the foods that contain high amounts of Vitamin D are salmon, sardines, eggs, cod liver oil, milk, and certain cheeses. New scientific research has uncovered a disturbing fact: Many Americans today are found to be deficient in this essential vitamin, and unknowingly put their health at great risk. Why are they deficient? Because those living in the northern climates may not be getting enough sun daily, (especially during winter months) or are not getting it from their diets. Within the past year Vitamin D-3 has sizzled into the health spotlight. Until that point, Vitamin D-3 was believed to basically be a "helper" for greater absorption of calcium by the body…. But not anymore! Now compelling new findings have linked this vitamin to fighting disease, maintaining good over-all health, and to fighting aging on the mind and body. If you live in the northern climates, get very little sun exposure daily, or do not eat a diet with high levels of Vitamin D-3 per dose, or you are over 50, you could be deficient in this essential vitamin! Do you fall into any of these groups? Why risk your good health? Our Acai Blush™ formula gives you 5000 IU's of Vitamin D-3 (the doctor recommended type) to help guarantee that you don't come up short on this essential vitamin! To complete this the ultimate health rejuvenating formula, Dr. Chappell has also included: Pomegranate, Goji berries, Blueberries, Noni, Mangosteen, Dark Cocoa, and Cinnamon. Combined, these nutrients contribute to antioxidant protection, vision health, glucose balance, and so much more! Dr. Chappell's Acai Blush™ formula is a very effective, economical and convenient solution for people that choose to revitalize and safeguard their health. 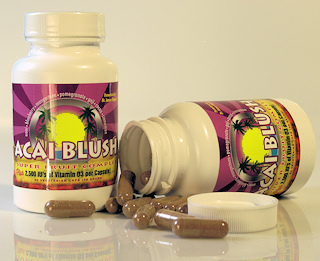 Acai Blush™ is "the real deal," a total nutritional health package in an easy to take capsule. It not only protects you from free radicals, but also helps to diminish those dreaded signs of aging that can compromise your body, your health, your life. Try Acai Blush™ and enjoy this Amazon-inspired Superfood. You deserve to look better, feel better! …Guaranteed! Acai Blush™ has been formulated to increase energy, enhance the immune system, protect cells from toxins and resist aging. We guarantee you'll feel the difference!